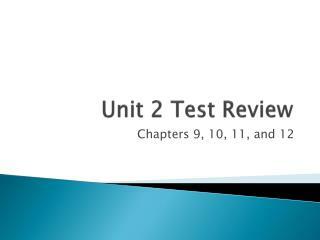 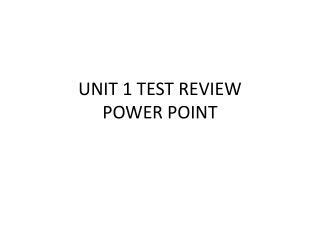 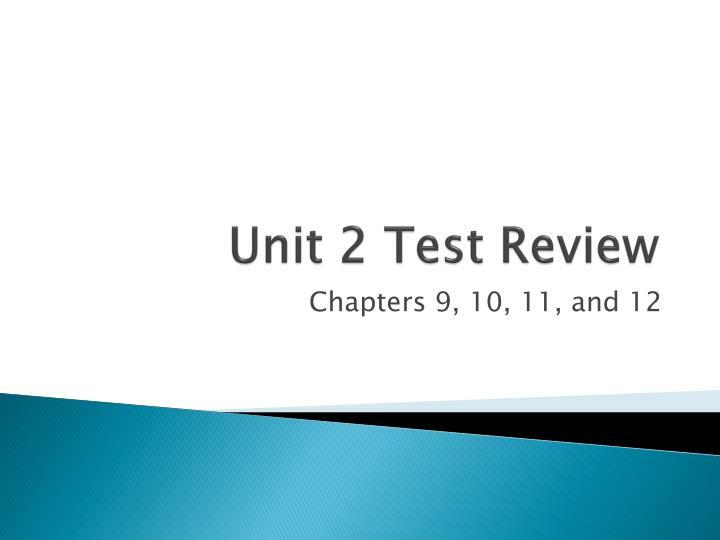 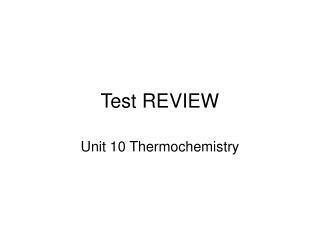 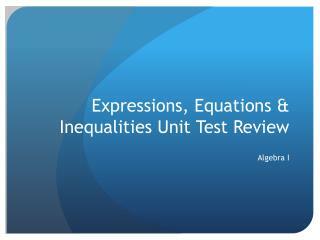 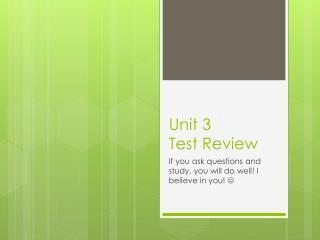 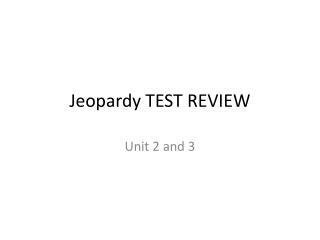 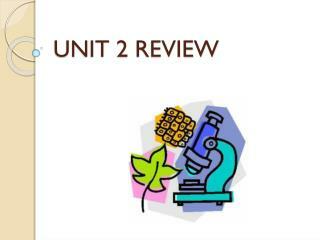 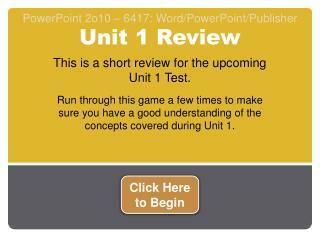 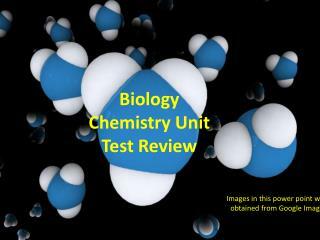 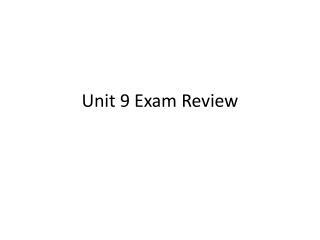 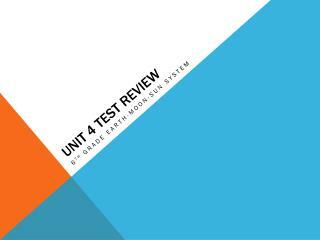 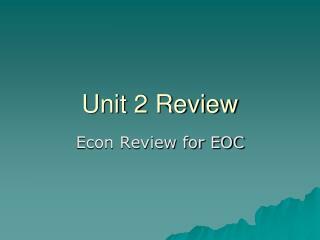 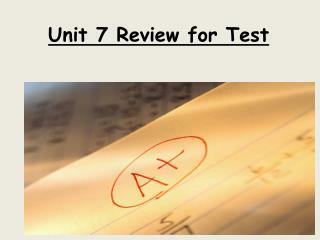 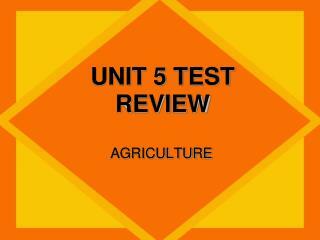 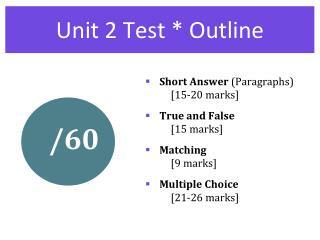 Unit 2 Test Review. 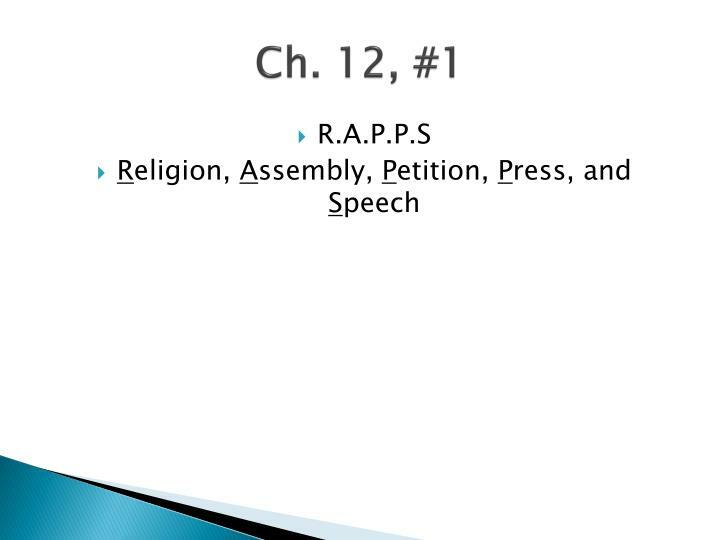 Chapters 9, 10, 11, and 12. Chapter 9, # 1. Law of April 6, 1830. Ch. 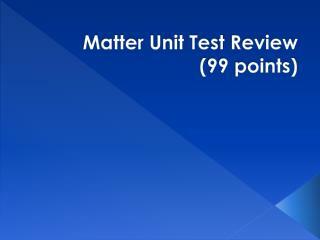 9, #1. 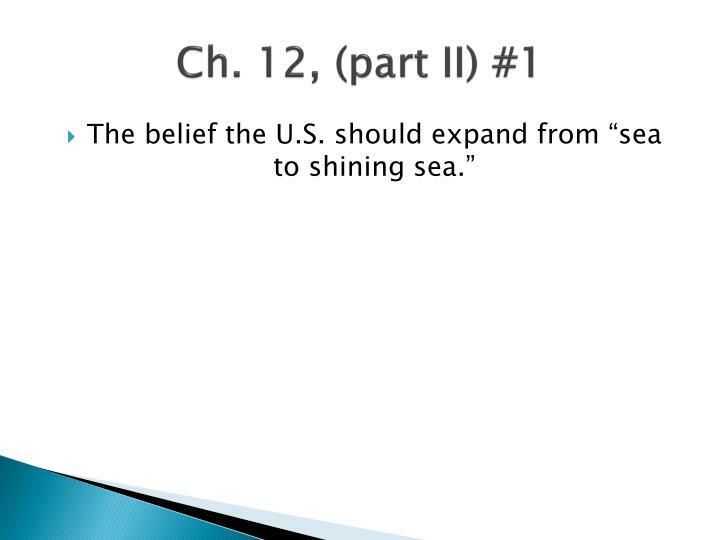 This law was written to stop immigration from the United States and it also placed a custom’s duty on imported goods. Ch. 9, #2. 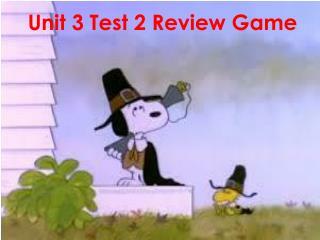 Turtle Bayou Resolutions. Ch. 9, #2. 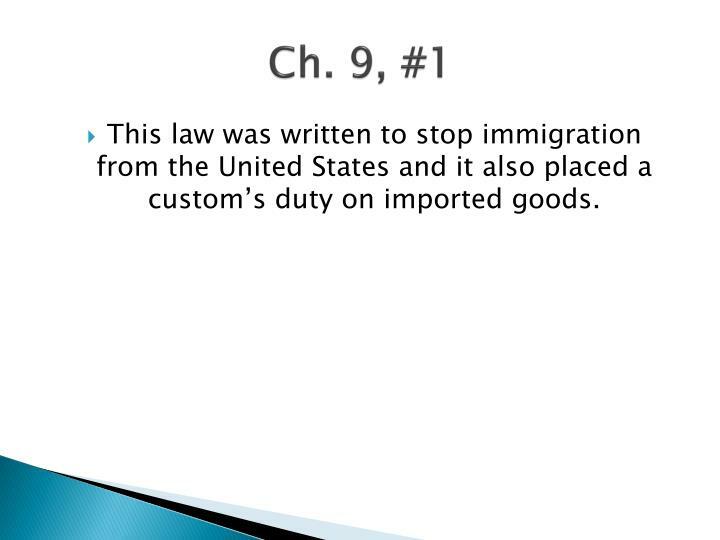 This law was written to stop immigration from the United States and it also placed a custom’s duty on imported goods. 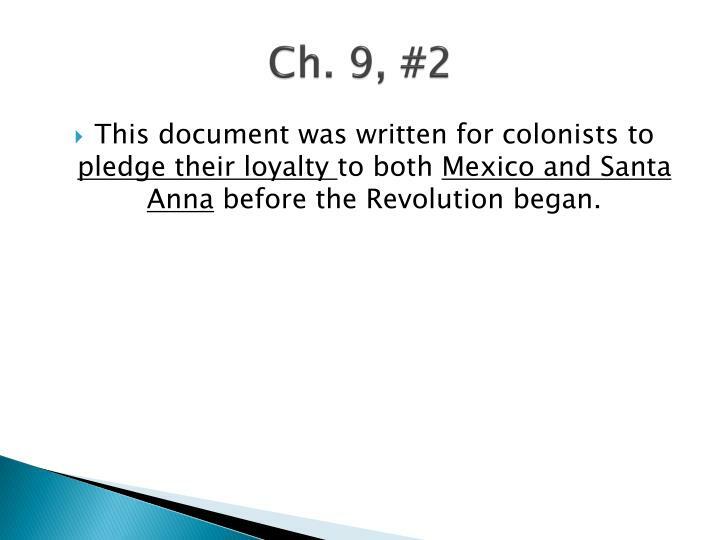 This document was written for colonists to pledge their loyalty to both Mexico and Santa Anna before the Revolution began. 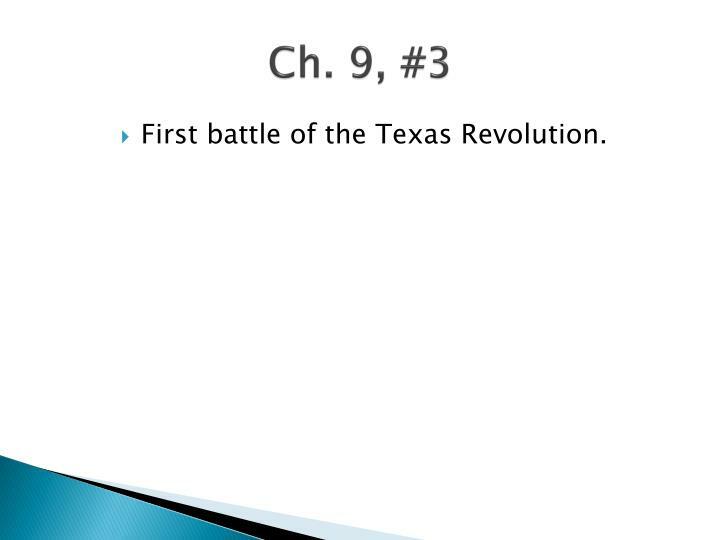 First battle of the Texas Revolution. 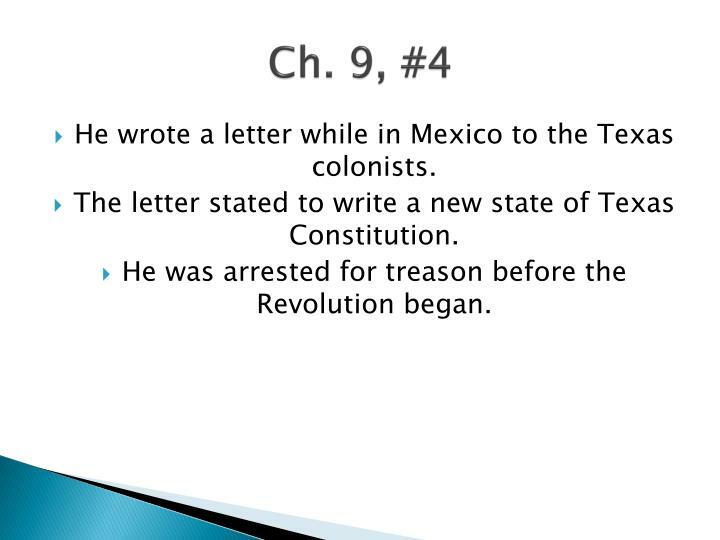 He wrote a letter while in Mexico to the Texas colonists. The letter stated to write a new state of Texas Constitution. He was arrested for treason before the Revolution began. 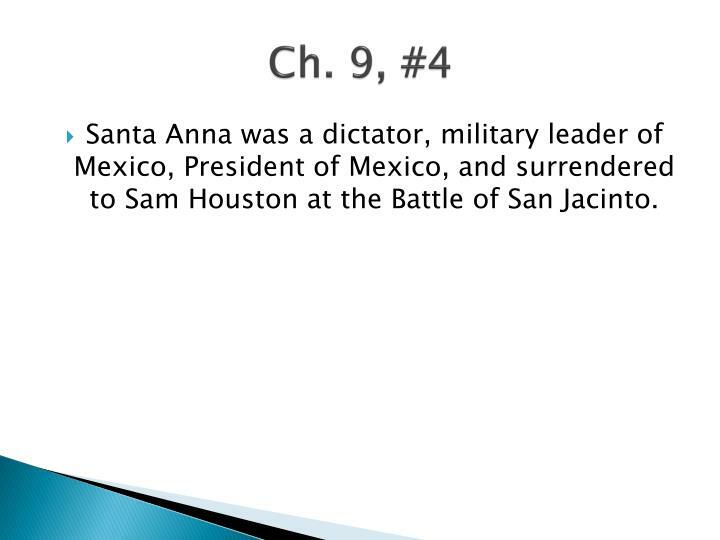 Santa Anna was a dictator, military leader of Mexico, President of Mexico, and surrendered to Sam Houston at the Battle of San Jacinto. The Battle of San Jacinto took place on April 21, 1836. 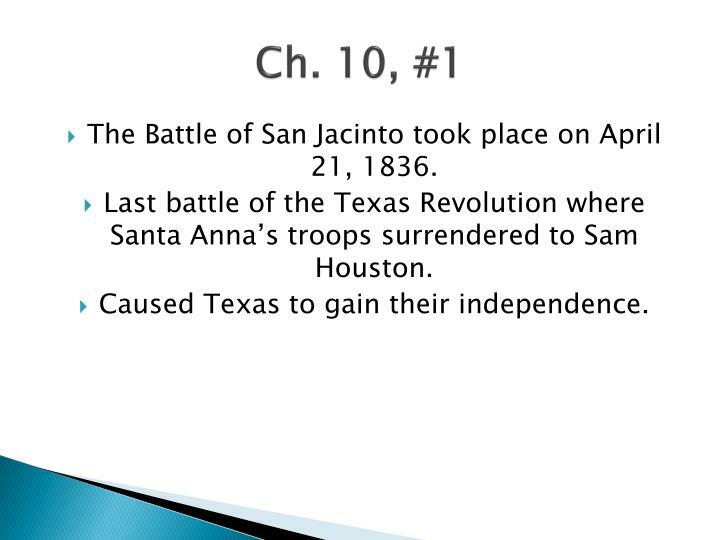 Last battle of the Texas Revolution where Santa Anna’s troops surrendered to Sam Houston. 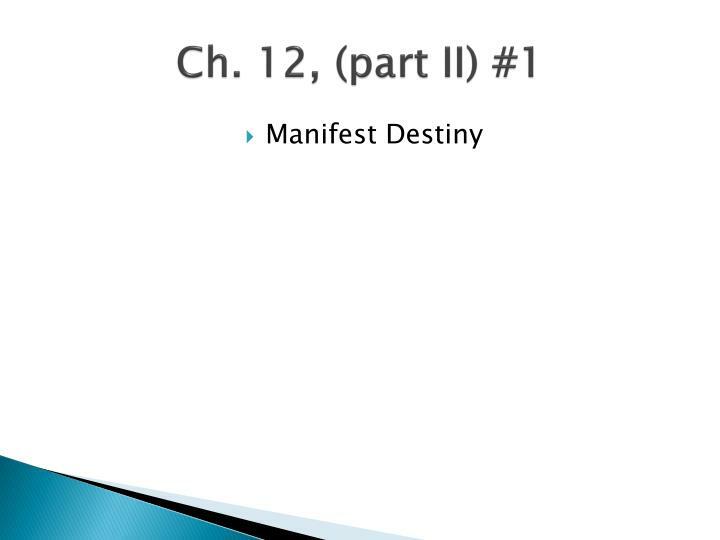 Caused Texas to gain their independence. The battle of the Alamo took place on March 6, 1836. 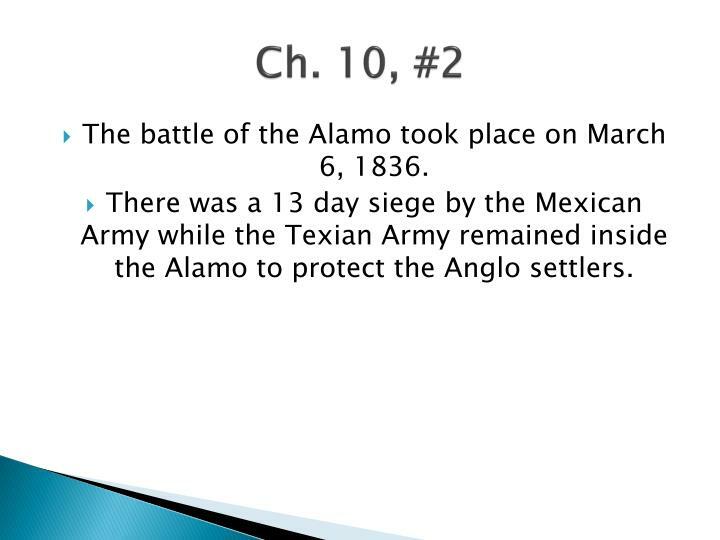 There was a 13 day siege by the Mexican Army while the Texian Army remained inside the Alamo to protect the Anglo settlers. The Massacre @ Goliad took place after the Battle of the Alamo. 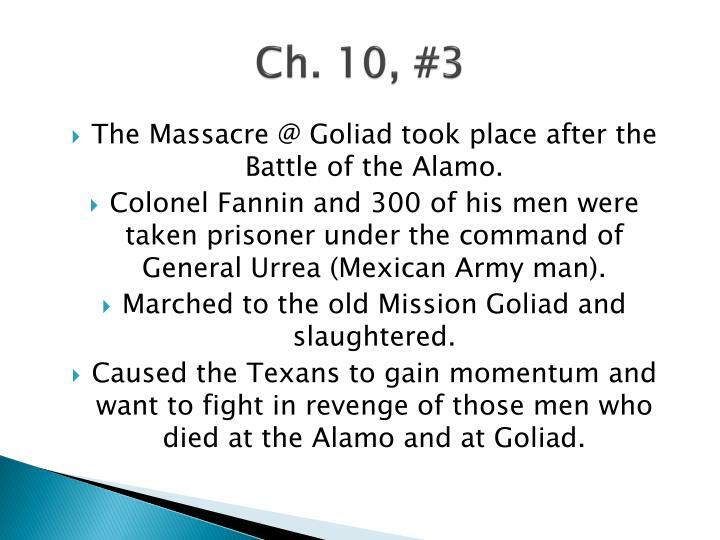 Colonel Fannin and 300 of his men were taken prisoner under the command of General Urrea (Mexican Army man). Marched to the old Mission Goliad and slaughtered. Caused the Texans to gain momentum and want to fight in revenge of those men who died at the Alamo and at Goliad. 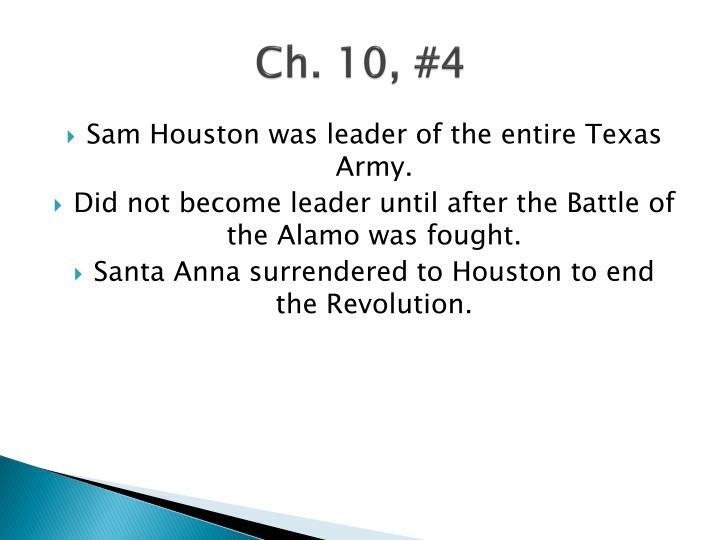 Sam Houston was leader of the entire Texas Army. 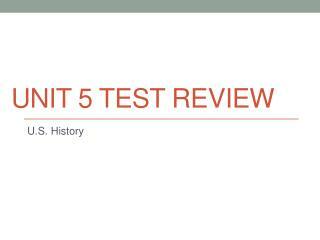 Did not become leader until after the Battle of the Alamo was fought. Santa Anna surrendered to Houston to end the Revolution. 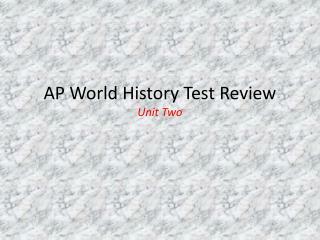 Author of the Texas Declaration of Independence. 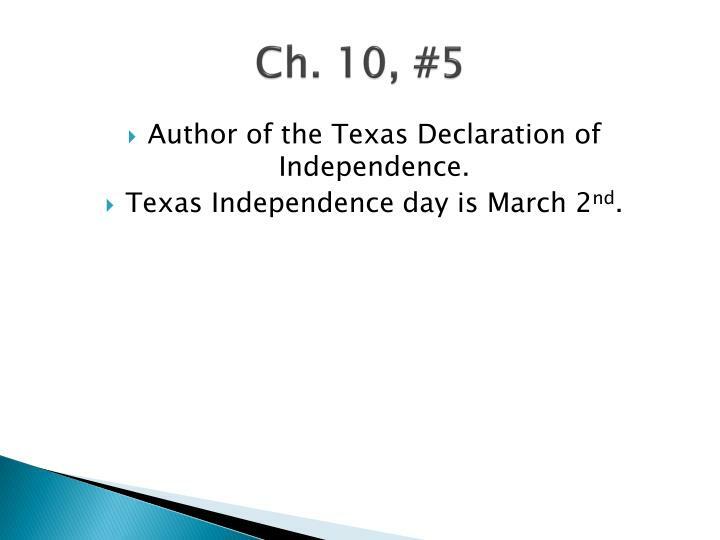 Texas Independence day is March 2nd. Annexation means to add or join to a country. 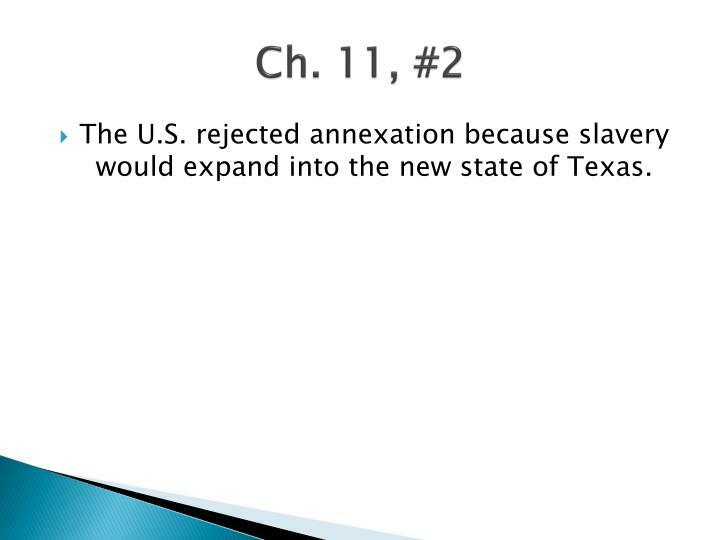 The U.S. rejected annexation because slavery would expand into the new state of Texas. Dr. Anson Jones was the fourth President of Texas. He was President when Texas was annexed to the U.S.
Sam Houston was the first elected President of Texas. Why did Texas want to be annexed to the U.S.? So the U.S. would pay off their debts they acquired during the Texas Revolution. 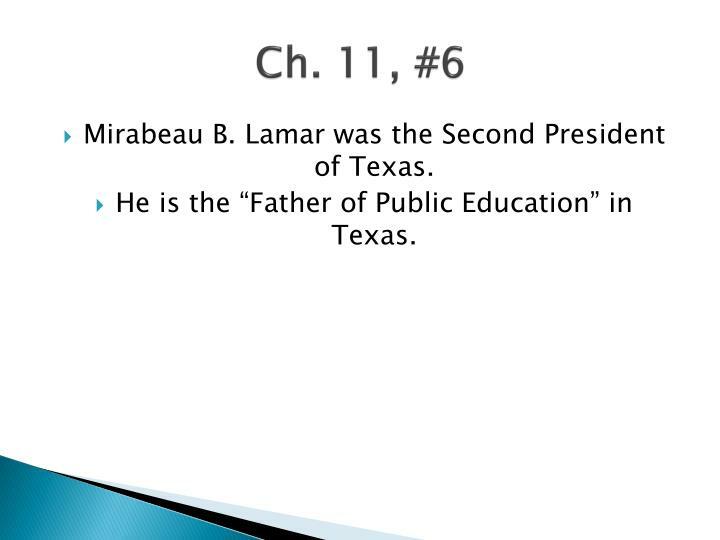 Mirabeau B. Lamar was the Second President of Texas. He is the “Father of Public Education” in Texas. A constitutional government is a limited government. The powers of the government are explained in their country’s constitution. 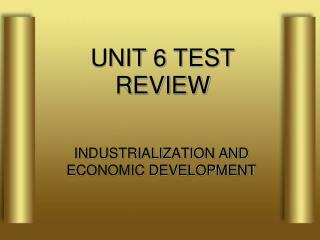 Republicanism – Power held by the people through the efforts of the people who represent them. Limited Government – the government only has a much power as the people give it. 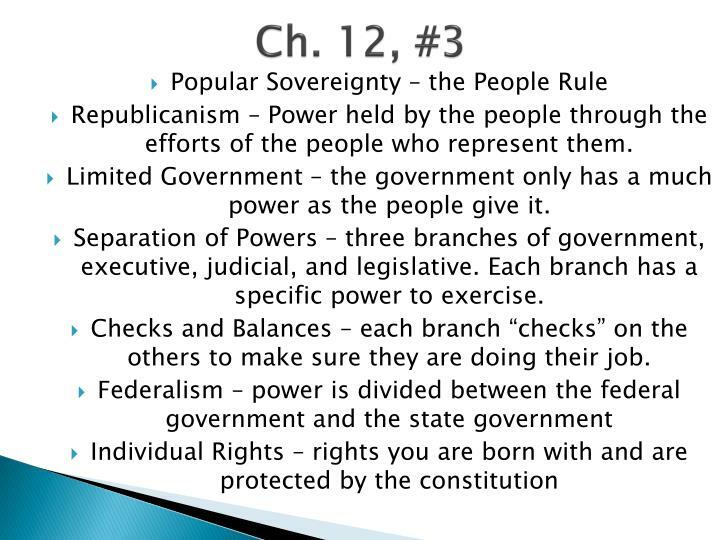 Separation of Powers – three branches of government, executive, judicial, and legislative. 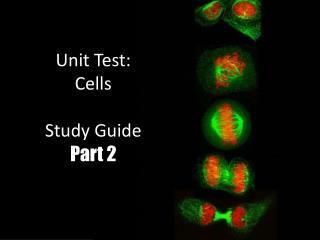 Each branch has a specific power to exercise. 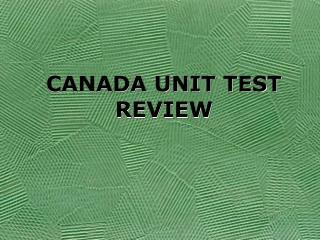 Checks and Balances – each branch “checks” on the others to make sure they are doing their job. Anglo-Americans usually settled in towns or on ranches. 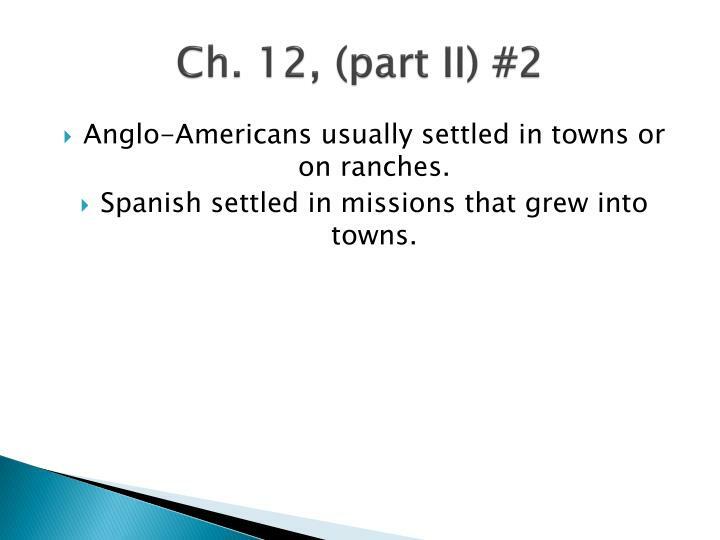 Spanish settled in missions that grew into towns. 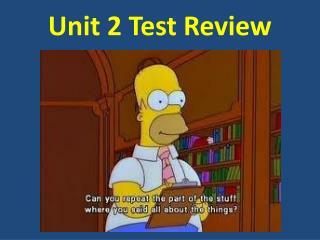 A primary source is a firsthand account of an event. A primary source could be used to gather information for research. 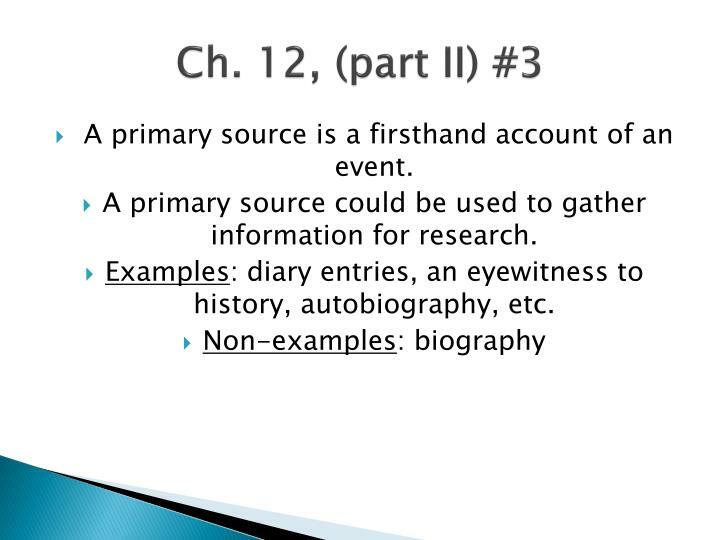 Examples: diary entries, an eyewitness to history, autobiography, etc.